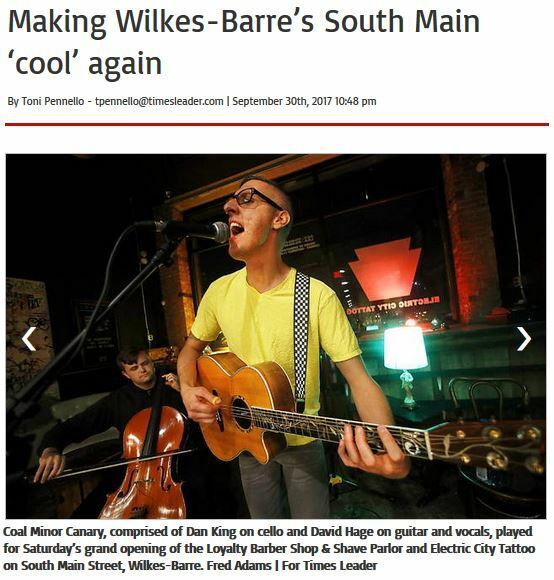 Coal Minor Canary with musical compatriot, Dan King on cello joined Nashville singer/songwriter, Bob Lewis in performing for the Loyalty Barbershop/ Electric City Tattoo Wilkes-Barre Grand Opening. 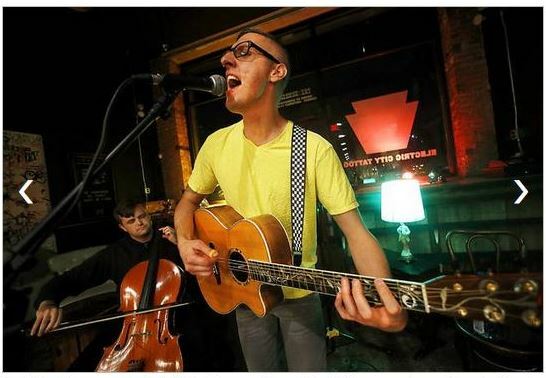 The businesses offer haircuts and tattoos in what was formerly Cafe Metropolis, a long-time musical mecca that brought underground through national touring bands to the Wilkes-Barre area. The business have kept some of graffiti walls and most notably, the spirit of music alive in their new business ventures. Read more about the event in the Times Leader article by Toni Pennello.